Dealing with aching feet that simply never seem to get any better? Maybe you are noticing that it is getting more and more difficult to take on daily tasks such as walking up the stairs or even putting on a pair of your favorite shoes. There can be any number of foot and ankle issues that can arise in children and their growing bodies. As a parent, you need to be able to identify any differences in the way that your child is developing so that any issue can be corrected as soon as possible. PRP treatment is quite simple. A vial of blood is taken from the arm and then positioned into a centrifuge which separates whole blood from the platelet rich plasma. The injured ankle or foot is numbed and PRP injected into the injury. For maximum opportunity for healing, a 4-week stint in a boot are required. f you are an athletic person who enjoys exercising and sports, you really have to be sure that you have the best athletic foot care, treatment and surgery in Bellevue. When you work with us at Mill Creek Foot and Ankle Clinic, you will be able to learn all about the various Achilles tendon problems and treatment in Bellevue and get back on your feet as soon as possible. If you have been exercising or you are involved in a sporting activity that resulting in a snapping sound and sharp pains in your foot or ankle, you need to make your way to see a podiatrist. After a thorough examination, we will then be able to help you by formulating a plan for Achilles tendonitis treatment in Bellevue so that you can get back on a path to enjoying your regular daily activities once again. While working with our professional podiatrist at Mill Creek Foot and Ankle Clinic, you will be able to gain a better understanding of the condition as well as your options for acrocyanosis treatment in Bellevue. The staff at Mill Creek Foot and Ankle Clinic will be happy to talk with you about the ways that small changes by using orthotics can have a drastic impact on your posture as well as your entire body. Making a phone call to our professional staff at Mill Creek Foot and Ankle Clinic will allow you to get the proper diagnosis and alcoholic neuropathy treatment in Bellevue. Learning that you are faced with a pregnancy that involves amniotic band syndrome can be quite stressful for any parent. Because you need to have the best when it comes to amniotic band syndrome treatment in Bellevue, you will be best talking with professionals who understand this condition and everything involved. Mill Creek Foot and Ankle Clinic will be happy to go over all of the options that you have for professional foot and ankle arthritis treatment in Bellevue. 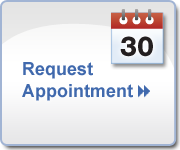 Making an appointment for an initial consultation with our staff at Mill Creek Foot and Ankle Clinic will get you started in the right direction for the relief that you need so that you can be free of sore feet and pain in your arches or the ball of your feet. If you are interested in how to deal with ankle problems and treatments in Bellevue, you will find that our staff at Mill Creek Foot and Ankle Clinic will be able to help you every step of the way. The treatment that is needed for a sprained ankle will usually weigh very heavily on the level of injury that you have. There are some people who try to treat such an ankle injury at home, however it is always going to be better that you look for ankle sprain treatment in Bellevue with the professionals at Mill Creek Foot and Ankle Clinic. Once you know that ankle surgery in Bellevue is on the horizon, you are going to need to have the guidance of our team at Mill Creek Foot and Ankle Clinic. After trying out as many of the non-invasive therapies as possible that are available today, you can then look into foot and ankle arthritis surgery in Bellevue with the guidance of Mill Creek Foot and Ankle Clinic. The camera of an arthroscope helps to not only gain a better picture of the inside of the joint, but also to magnify certain areas that the surgeon needs to work on. There are a number of advantages that come with the use of arthroscopy over some of the traditional techniques that have been used in the past. One such advantage is a much smaller incision and a vast improvement in the healing time so that the patient is able to resume regular range of motion. The type of athlete’s foot (tinea pedis) treatment in Bellevue that you receive can sometimes depend on the level of your condition as well as how often this has been a reoccurring issue for you. When you work with a team of professionals to get the guidance of a podiatrist, you are going to be in the best possible hands to get you the relief and healing that you are looking for. Have you noticed that you have one or more toenails that are discolored to the point where they seem to be turning black? If so, has there been some sort of trauma to the foot? More often than not, trauma is the cause of black or darkened toenails. In order to get the best result, you may want to look to Mill Creek Foot and Ankle Clinic to give you the foot blister treatment in Bellevue that you need. The team at Mill Creek Foot and Ankle Clinic will be happy to talk with you about bunion treatment, prevention and surgery. In order to get an accurate diagnosis of your burning foot pain, you need to be able to see a podiatrist. This will help you to get the treatment that you need to be sure that there will not be any further damage that takes place. We will be happy to work with you to determine the cause of your callus and the absolute best way to treat the condition that you are dealing with. In addition to looking at your medical records, we will also be sure to take the time to give you an evaluation so that we have a much clearer picture of what may be going on with your foot and ankle region. Every chilblain will start to show up when there has been some exposure to the cold, usually within a few hours. There will be some swelling, itching and redness that is present that can last for anywhere between 7 to 14 days. While there are a number of different options that you have for healing at home, there may come a time when you need to think about having your foot or ankle looked at further by a professional. The last thing that you will want is to find out that you are causing more damage simply by not having the treatment that you need. Treatment for your child’s clubfoot condition will be best when it is started as soon as possible after birth. The sooner that the treatment starts, the better the prognosis will be with a high success rate. If you have found that your child has been diagnosed with a clubfoot condition, you can call our team as soon as possible. Some of the symptoms that you may notice with claw toe condition will include toes that are bent upward from the joint at the ball of the foot, or a bending downward from the middle portion of the joint to the sole of the foot. For some people, the toes will bend down to the point that they end up curling underneath the foot as the patient walks, which can lead to a great deal of discomfort. Whenever there is any sort of pain, swelling and instability, or discomfort that comes back time and again, you are more than likely suffering from chronic lateral ankle pain that should be addressed with help of a professional. Once we are able to examine your ankle, which may call for x-rays and other testing, we will be able to formulate a customized treatment plan to get you back on your feet. As a parent, you should think about checking the size of your child’s feet as often as possible. This will help you to make sure that their shoes fit properly and that the toes have a good amount of room to grow. If it seems as though there is a need for shoe inserts, our team of professionals will be your best source for information and support.